Irish bonnets with embroidered shamrocks are trimmed with satin ribbon on the front edge and have adjustable back ribbon casings. 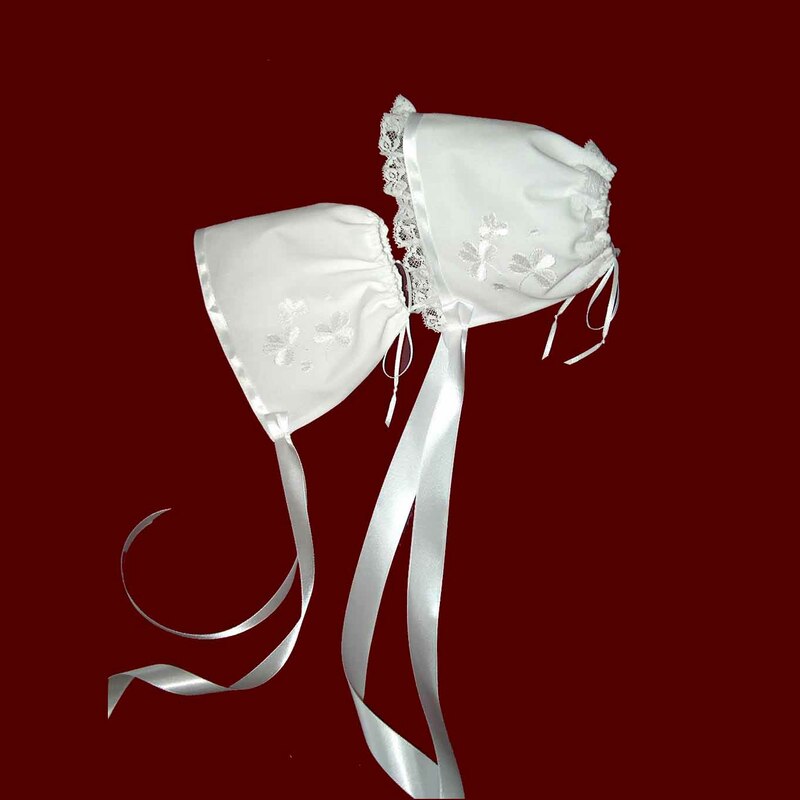 Girls bonnet has gathered lace (shown) on the front and back edges, boys has satin ribbon on the front edge only. Satin ribbon ties. Available in white or ivory in the following fabncs: Linen batiste, Irish linen (shown), shantung, satin, cotton batiste or silk dupione. Optional cotton liner provides a barrier to the oils used during the christening ceremony.